Not strictly a garlic issue, but there's a lot about garlic with it being Hallowee'n - we need to keep the vampires away! There are ideas for homemade herbal gifts as well - even if you're going to make them nearer the day, you'll need to make sure you've got the right stuff to hand, so no apologies for looking at Christmas a wee bit early. There's some fabulous ideas in this issue - I hope you enjoy. Please leave a comment in the box at the bottom if you wish to - ask a question, get in touch. 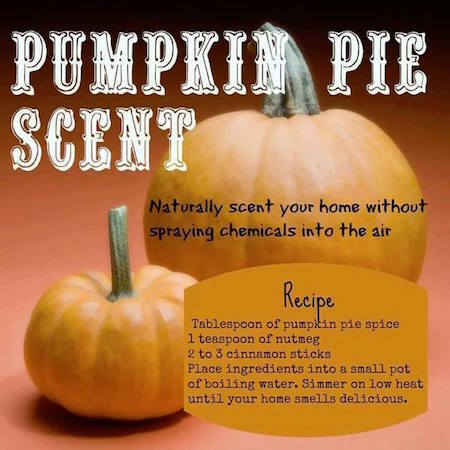 You could put this in a pot to simmer or use your slow cooker on low to get the scent going through your whole house. 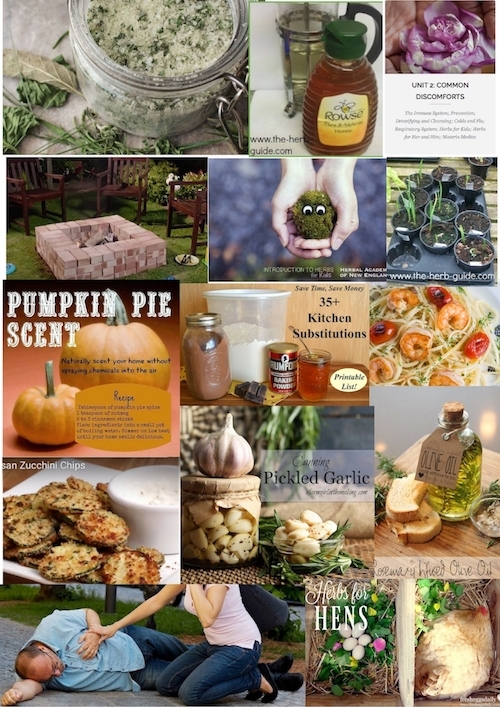 Next month, I have some fabulous rooms scents using herbs and citrus fruits for you which will be great for the Holidays. Pickling garlic is a great way of preserving for the winter and also as it's such a gorgeous taste (in fact, Ann, from AFarmGirlInTheMaking ate a jar in two sittings!) you might want to preserve enough to last you until the next harvest. 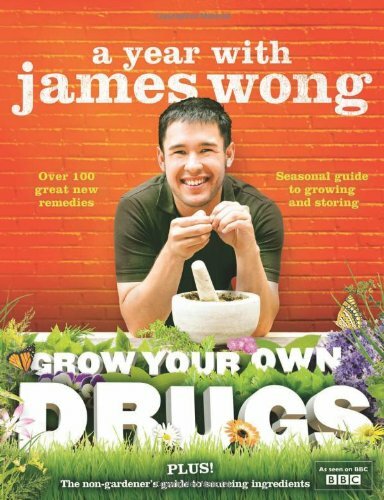 Don't worry if you haven't grown any this year - just buy some garlic bulbs and get pickling. It will taste the same. The normal garlic issue of stinky breath she assures us just doesn't happen when the garlic is pickled. It would be a great idea to give a jar of pickled garlic as a homemade gift, so make some extras. 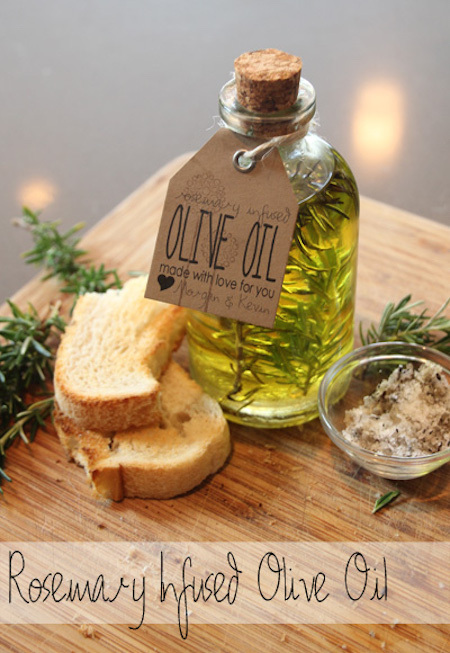 On the subject of homemade gifts, this Rosemary Infused Olive Oil would be another lovely present for a foodie. The super simple steps are illustrated by photos and Morgan from the PepperDesignBlog describes in detail what you need to do. 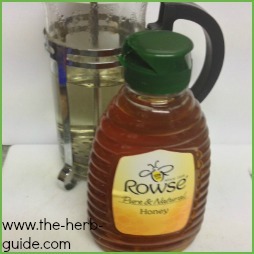 Very simple and inexpensive to make and herb oils are always appreciated. I know it's a bit early, but if you're doing 'homemade' then you can't leave it all until the last minute. You need to be doing these things early to give them time to infuse and also, you'll need to make sure that you've got the basic ingredients to hand in advance. You could make garlic oil (just add some cloves of garlic to the oil and treat in the same way) or any other herb you fancy. Basil is always popular for people who like to cook a lot of pasta dishes for instance. 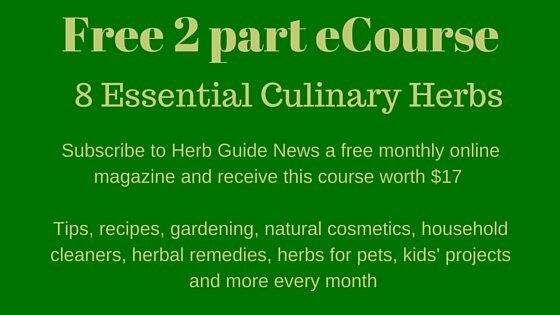 If you're interested in learning more about herbal medicine, then the Herbal Academy of New England courses are marvellous. I took the Introductory Course and have written about each unit - click on the photo to read more about it. 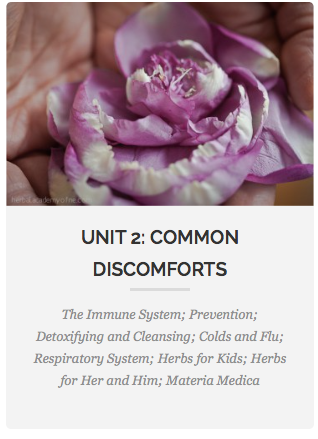 This unit is particularly useful as it covers colds and flu and also important information about dosages and suitable herbs for children. I am lazy - well, inasmuch as I don't think I should expend any more energy than I need to. If there's an easy way to do something, I'll take that route. Again, that's not entirely true as I am not frightened of manual work and will get stuck in happily - but I like to make sure my energy is spent in the most efficient way. I love digging and weeding for instance, but, I think about the best place to start and the most efficient way to do it. I don't like trampling over newly dug soil, it makes a mess of my boots and knocks the air out of the soil. 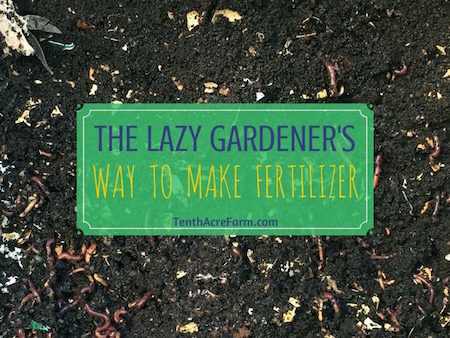 So, when I saw this article from TenthAcreFarm about making fertiliser, I had to check it out. There's a video as well as step by step photo instructions on how to make your own. 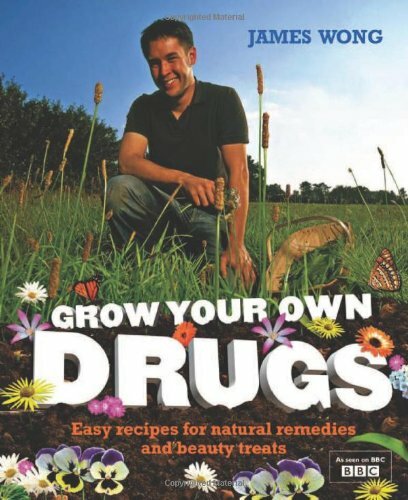 Amazing - earthworms is the answer. They'll turn your household waste, paper, cardboard and garden waste into gorgeous rich compost. As a byproduct, you'll also get a 'tea' that you can use to fertilise your plants - a win-win-win situation for a little bit of initial effort. How many times do you go to make a recipe and find you've not got honey or enough eggs or cream. 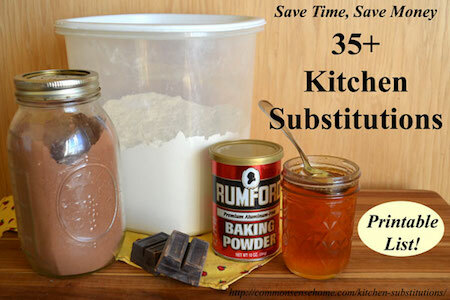 This great list of stuff you can commonly substitute will come in handy time and time again. It's not just for things you've run out of but say you've got a vegan visiting and you need to find an egg substitute, the answer's here. So for a printable download of kitchen substitutions that you can always have handy, have a look at CommonSenseHome. This is an important article to read about the six early signs that a heart attack may be close. Essentially, they're symptoms of heart failure. Don't ignore these signs. In isolation, they may mean nothing, but it wouldn't hurt to have your blood pressure checked if you experience one or more of the symptoms. I apologise for the exit pop-up that appears on the HealthyLifeStar website - I would normally not send you to a site that had these, but it's such important information that I felt you should read it and there is a very clear 'x' in the top right hand corner which allows you to knock it down. Garlic is reputed to have many health benefits, not least helping your circulation and blood - another reason to try and incorporate garlic in your diet regularly. 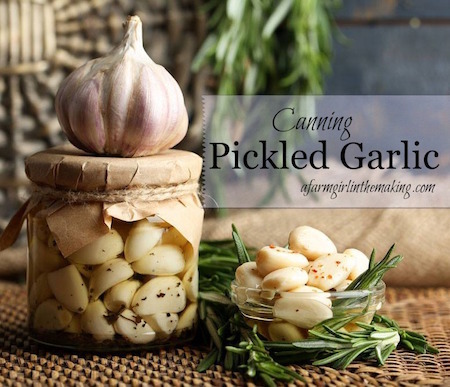 11 Uses for Garlic from OneGoodThingbyJillee. 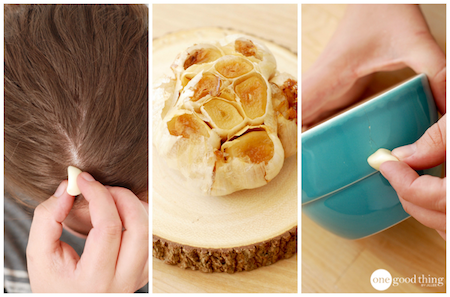 Garlic is one of the most useful herbs for culinary and health, but did you know what other things you can do with it? Jillee has a fabulous website, full of tips, tricks, wrinkles and recipes. Many money saving ideas and how to get the best out of your household. 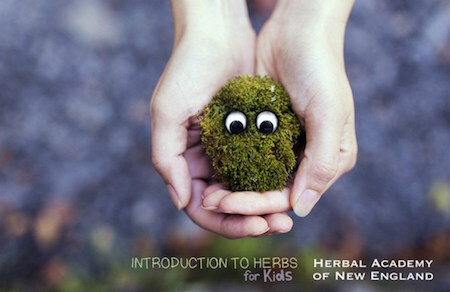 This lovely mini eCourse introducing herbs for children is from my very favourite online herb course provider, Herbal Academy of New England. Do check them out and start to teach your kids about how they can recognise and use herbs on a daily basis. You can plant garlic in the spring and/or the fall. 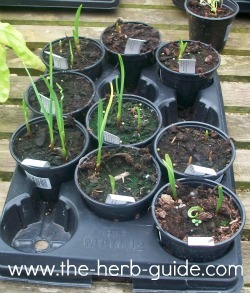 If you want an early crop, then the fall sowing will mature in the summer. Your spring planted crop will mature in the fall. Harvest when all but six leaves have died down. You'll have loads of garlic ready for using - fresh, drying, preserving, pickling, hanging up to keep vampires away - the uses are endless. Last month's issue had some great uses for garlic, including the topic of whether it's safe for dogs - read about that here. Now, I know this may be a bit late in the year for those of us in the Northern Hemisphere, the balmy days of summer (snigger, if you live in the UK) have gone, but there are still some fine days left. Making a fire pit will mean that you can still use your outdoor space even when the weather's a bit colder. You can get a grill to pop on top and even use it to cook outdoors. It's super simple to make - as you can see, it's just a load of bricks strategically placed - a weekend project for you. A kit can be very expensive, so just get the list of materials needed and follow the instructions. 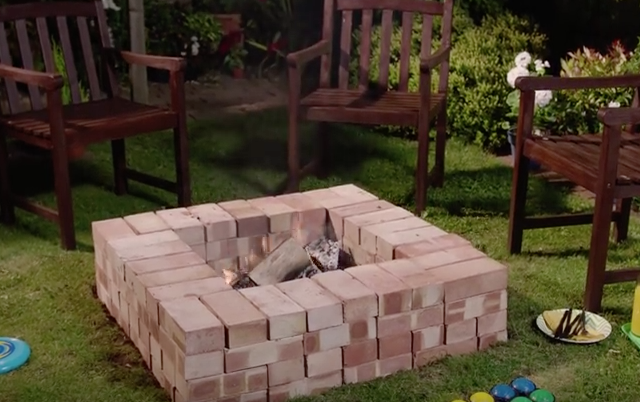 Just to give you some idea of siting your fire pit - have a look at this super short video about designing your patio and how incorporating a fire pit can make a huge difference, extending the outdoor season for you. My friend Susan of Landscape Design Advice has an enormous amount of information about hard landscaping, check it out and get some ideas. 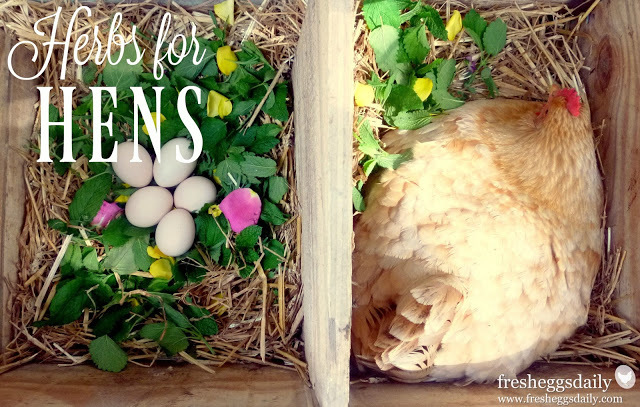 Lisa from FreshEggsDaily has written a very interesting piece on using herbs for hens. She prefers to use fresh, but at the end of the season, she dries off her surplus and uses it through the winter months, adding a mixture to their feed. Find out the best herbs and flowers to use for hens - you can plan next year's herb garden - a lot of the herbs are extremely useful for you as well. Click on the photo. The cough season is upon us - here are 8 different natural remedies for you to try to relived that dry tickle cough, that you just can't get rid of. 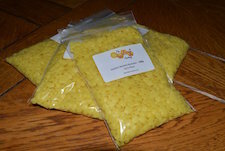 This is a lovely herbal bath soak. You can use fresh or dried herbs in it. Use a muslin square (or clean sock) to tie under the faucet as the bath fills. 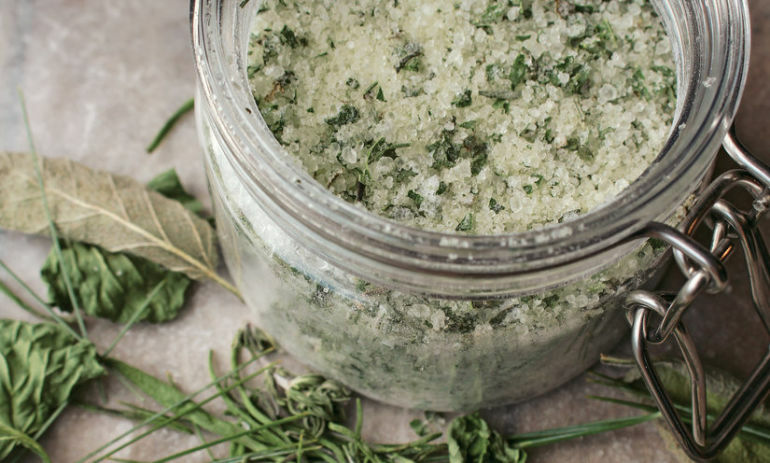 The salts will dissolve and you won't have herbs floating around in the bath! It's an excellent idea for a homemade gift - one your kids could easily make with a bit of supervision. They could also sew a little muslin bag to tie on the faucet. If you're going to make these in quantity, then use dried herbs rather than fresh - a tablespoon of dried per half cup of salts would be enough. 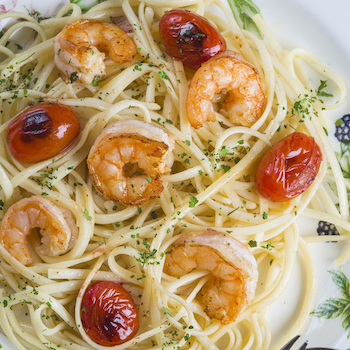 Super quick garlic shrimp pasta. Really easy to put together - be careful when you're cooking large shrimp, they can go tough quite easily if you overcook. If you just let them turn pink in the first cooking, then finish off when you add them at the end.